bldc design is the shared studio of interior designers, linda mauck smith and dawn cook. After collaborating throughout their careers, the duo was inspired by the idea of moving their independent practices under one roof. In 2015, they acquired a 2000 square foot space in the historic Cleveland neighborhood of Shaker Heights just steps from the Van Aken District and located within moments of many clients. The thoughtfully designed studio is located in the Almar Building and the hub of their practices. The studio houses a meeting space, a materials library, workspace and most day-to-day operations. As dedicated residents of Shaker Heights, they actively collaborate with the city and public school system. Together, they host an annual holiday pop-up and partner on special projects throughout the year. Contributing a diverse background in visual merchandising and customer service, Debbie is focused on keeping the studio on track, managing operational support and outreach. Debbie has spent nearly sixteen years working alongside interior designers. She is inspired by creative atmospheres and looks forward to every day being a fresh start with a new to do list to tackle. Since joining the team over six years ago, Sadie’s role has evolved from intern to design assistant. Working alongside founders, Dawn and Linda, Sadie assists in the creation and execution of studio design projects. Her timeless sensibilities make her a perfect fit for almost every project under her charge. With a keen eye for detail—she coordinates materials selections, design presentations and onsite installations for the studio. Sadie graduated with an Associate’s degree in Interior Design. She is most inspired by rich texture, luxurious materials and the designers she works with every day. Jakecia works alongside Dawn and Linda leading space planning, material specifications and design presentations. Jakecia spends her days visiting job sites, gathering in-the-field measurements, drafting elevations and space planning. She is BLDC’s rendering expert. Jakecia graduated with a Bachelor’s of Science in Interior Design from the University of Cincinnati. She is LEED certified and is committed to sustainable design practices. 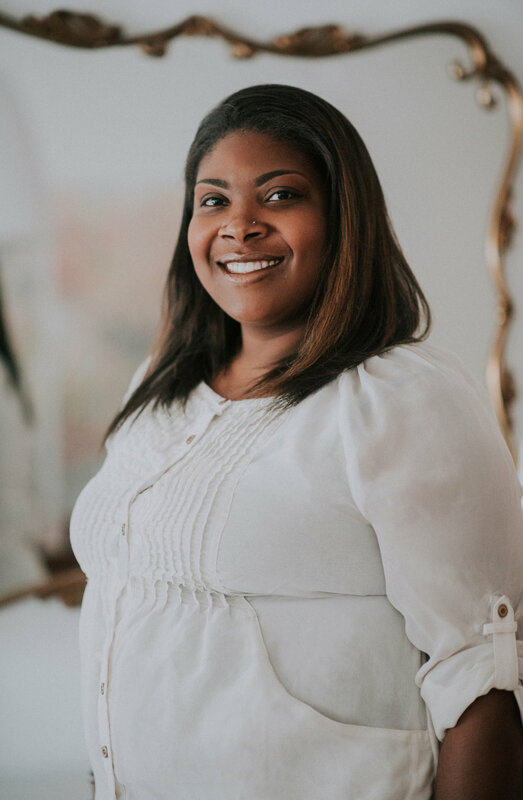 Recently, she managed the Interior Design program at Cuyahoga Community College and provides support to the team as an independent consultant.